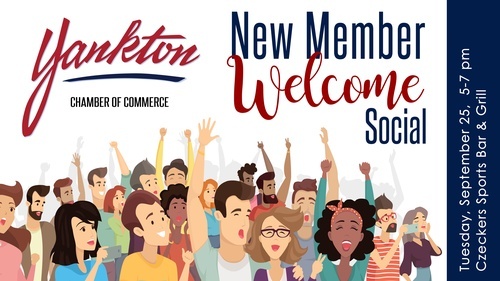 We've had 30 new members join the Chamber over the last 3 months! We can't wait for everyone to meet them and learn more about what they have to offer our Yankton community. Join us for drinks and appetizers in the upper level of Czeckers Sports Bar & Grill in a casual, come-and-go social event. No RSVP needed, just stop by! New members are invited to showcase their business with a booth display of their products, business cards and brochures. This is a great opportunity to network with other businesses and meet new people. Contact the Chamber 665-3636 for more information.